‘Defusing involves distancing, disconnecting or seeing thoughts and feelings for what they are (streams of words, passing sensations), not what they say they are (dangers or facts). The short metaphoric story is something that I use with my clients to help to overcome our “inner voice”. Once again, try it. What’s the worst that can happen? Imagine you’re given a parrot. 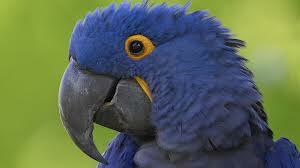 This parrot is just a parrot – it doesn’t have any knowledge, wisdom or insight. “It’s bird-brained after all,” you think.